Looking for fun ways to entertain out of town guests in the city of Angels but not sure where to go? Having family and friends visit our beloved city is wonderful because it forces us to experience all of the touristy LA greatness we would otherwise miss but with so many things to do in this city, where do you begin? My family and I recently had a stint of hosting out of town guests and I wanted to plan the most unforgettable time. I knew I had to start with what would be most meaningful for them. Everyone who visits LA has something they want to do before they leave. I put together a list of things to do in LA and reviewed it with my guests, then let them decide what sounded most fun. This gave us four wonderful days of exploring the city together. I’ve lived in Los Angeles for the last 25 years and since the old adage is true that no one in LA is actually from LA, that basically makes me a local. I’ve lived in Malibu, the Valley and West Hollywood in those years and spent a good chunk of them commuting to the West Side so I’ve learned a bit about how to navigate the traffic. The key to the most enjoyable time with your guests is to plan out your destinations around the neighborhoods first. That way you can avoid being stuck in traffic all day driving from one side of town to the other. Choose where you’re going and try to group your activities around that part of town, then choose to go home before the traffic kicks in. Plan your drives accordingly. Pretty much any other time outside of those hours is going to be a traffic nightmare. Once you have decided on where you want to go, pack sunscreen, a towel, water and sunglasses in a bag and throw it in your trunk just in case you end up at the beach, which odds are, you will with out of town guests in LA. Input the addresses for each of the destinations on your list into the calendar on your phone. This will make pulling directions from place to place much easier and help cut down on time spent getting lost. 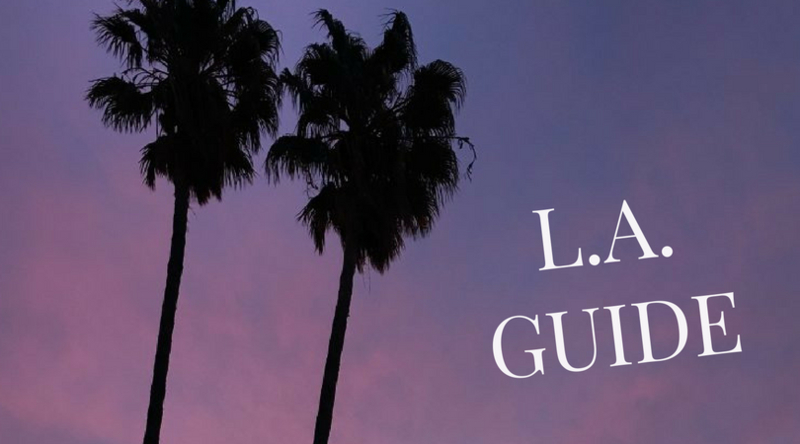 Below is my ultimate guide to LA, by neighborhood, which you can use as a starting point for planning an unforgettable stay for your guests. 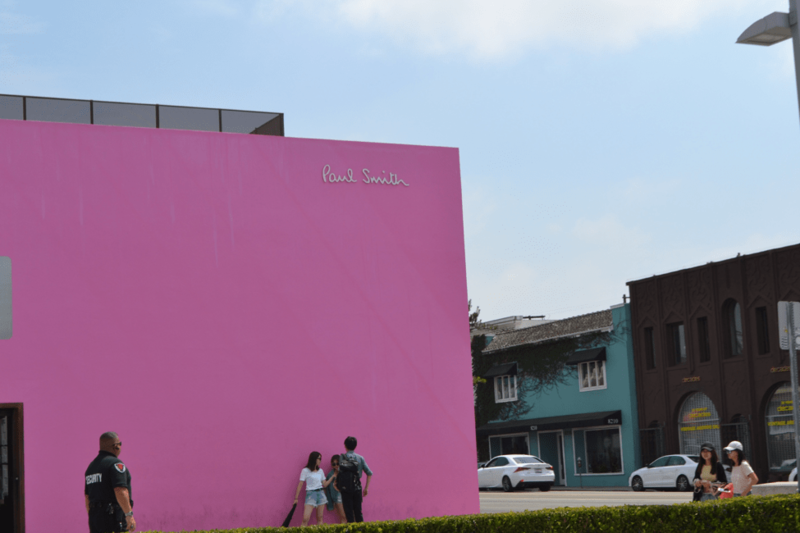 Instagram lovers from everywhere flock to the Paul Smith Pink Wall on Melrose. It’s the perfect way to treat your out of town guests with a souvenir they can be most proud of, an iconic Insta-worthy photo for themselves. It’s best to start your day here by 10am to avoid being over-run by other photogs. Duff’s Cakemix is the place to go with a creative group (or even with your kids on a Saturday morning). Guests can choose to decorate a cake or cupcakes and then choose their frosting colors & toppings. An artist’s dream stop, decorating tools and inspiration abound at your disposal. 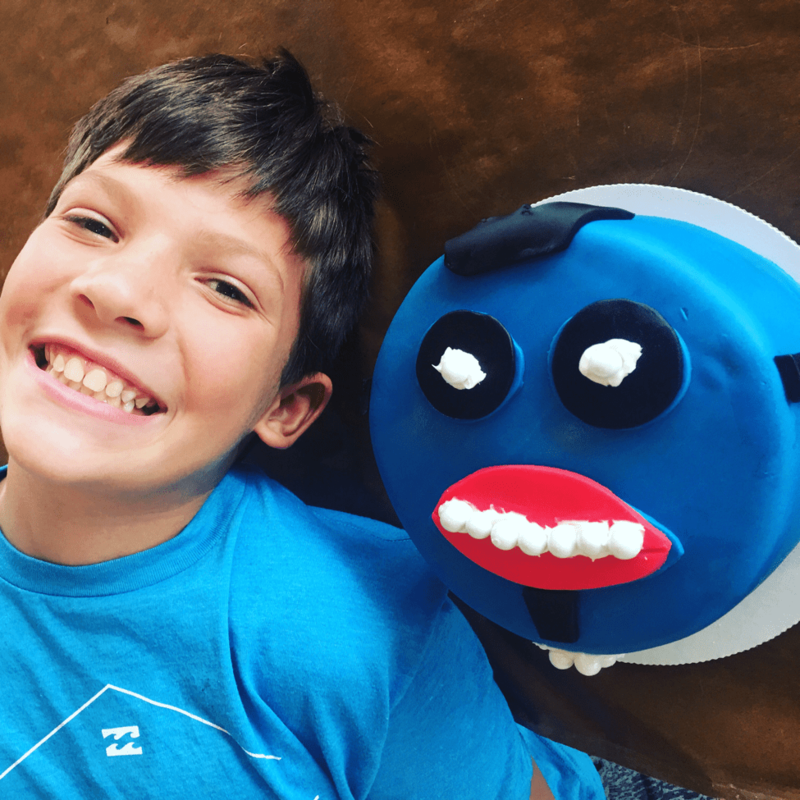 If you’re afraid of your cake melting in the car while you explore the city, Duff’s will hold your cake for you while you go about your day’s activities and you can pick it up before you go home. We did this and it worked out perfectly. 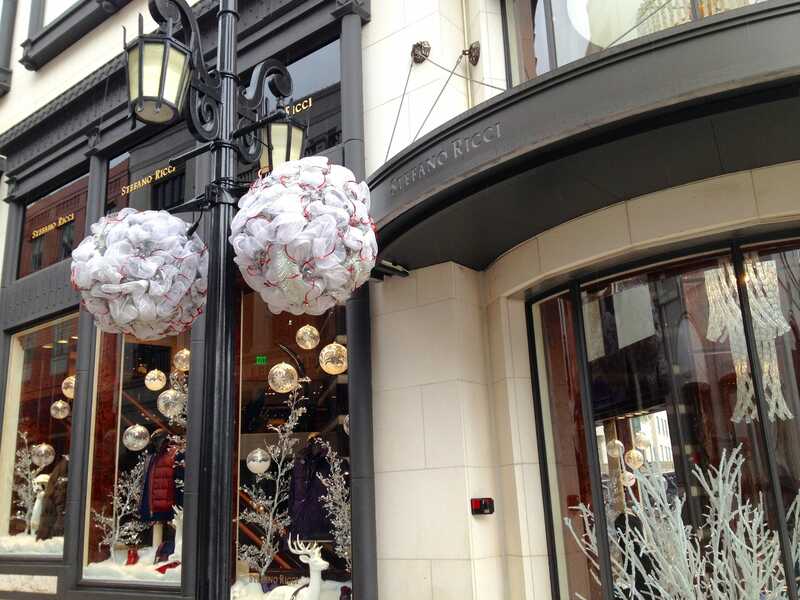 You can find FREE parking for two hours next to the Crate & Barrell on South Beverly Drive at Little Santa Monica. 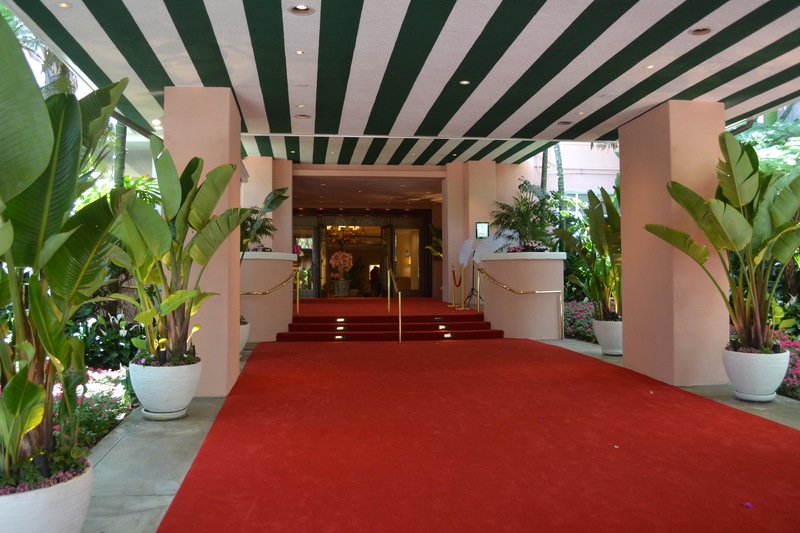 Take the elevator from the parking lot to the street level and begin your walking tour of Beverly Hills. Rodeo is just a few short blocks from South Beverly Drive. Two Rodeo, located at Wilshire and Rodeo, is a quaint cobblestone street filled with shops and restaurants. Directly across Wilshire is the Regent Beverly Wilshire, the famous hotel from Pretty Woman. I have a special place in my heart for this hotel because it’s where my husband proposed and we stayed in the Penthouse the night of our wedding. I highly recommend having lunch there at the Blvd restaurant or getting massages at The Spa, which is the best massage in town. Let your guests have a taste of the #1 cupcake in LA, Sprinkles Cupcakes. Their frosting is so good they sell it by the shot. You can utilize the cupcake ATM to avoid the line and give them the true on demand LA experience. If strawberry is on the menu that day, pick one up for sure. And the ATM is open 24 hours! 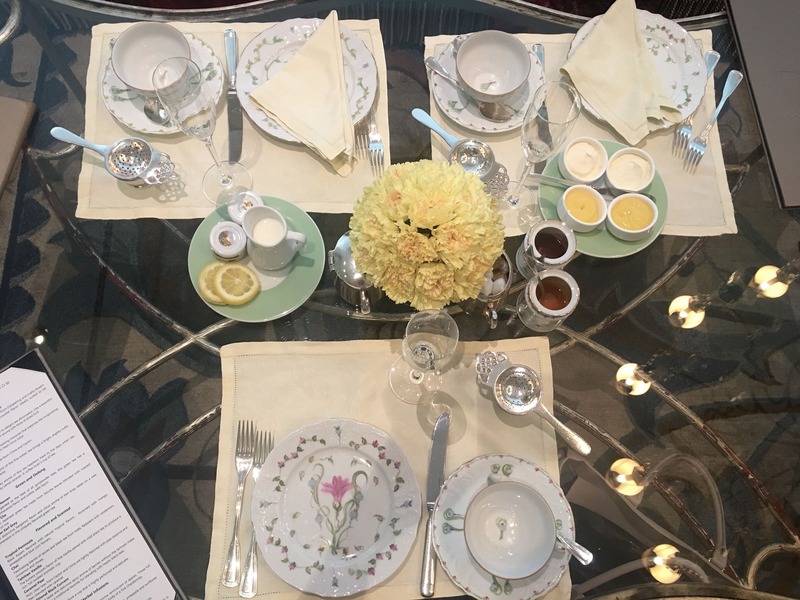 If your guests are into luxurious experiences, go for Afternoon Tea at The Peninsula Hotel in Beverly Hills. It offers a beautiful atmosphere and lots of yummy treats and teas to choose from. I recommend the Royal Tea option. This is obviously an ideal spot to go with girlfriends but you may be able to rope your parents into going with you too. I did this once for a work event and it was a really fun way to explore Hollywood with a group. The starting point is Hollywood and Highland so you can park in the Hollywood and Highland lot. Urban Adventure Quest offers the tour for only $49 for a group of 2-5 people, making it an inexpensive way to have fun. 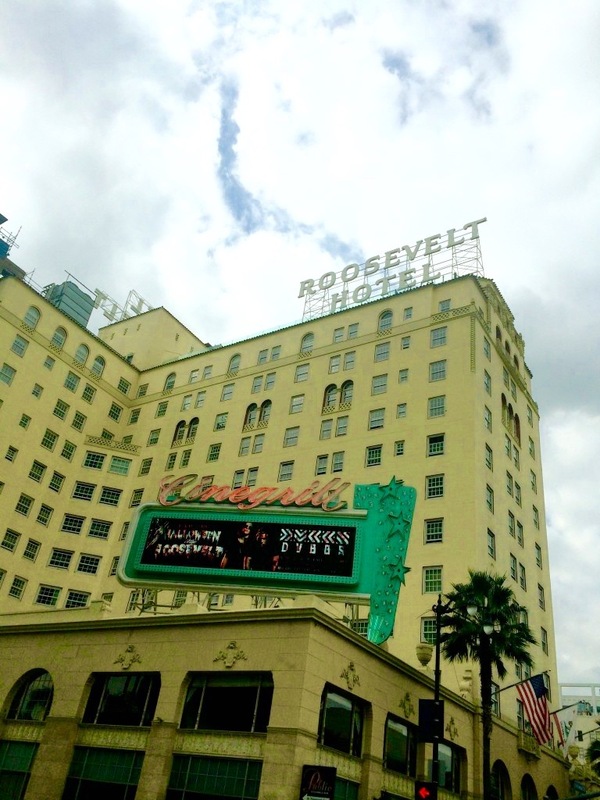 Most likely if your guests are movie buffs they will not want to leave LA without visiting Hollywood. The city has come a long way in the last 10 years but Grauman’s Chinese is still a classic tourist spot for the celebrity handprints. The theatre has been revamped since 2013 and now shows movies in IMAX. The Hollywood Walk of Fame is right in front of the theatre. Star ceremonies take place at 11:30am and are free to attend. 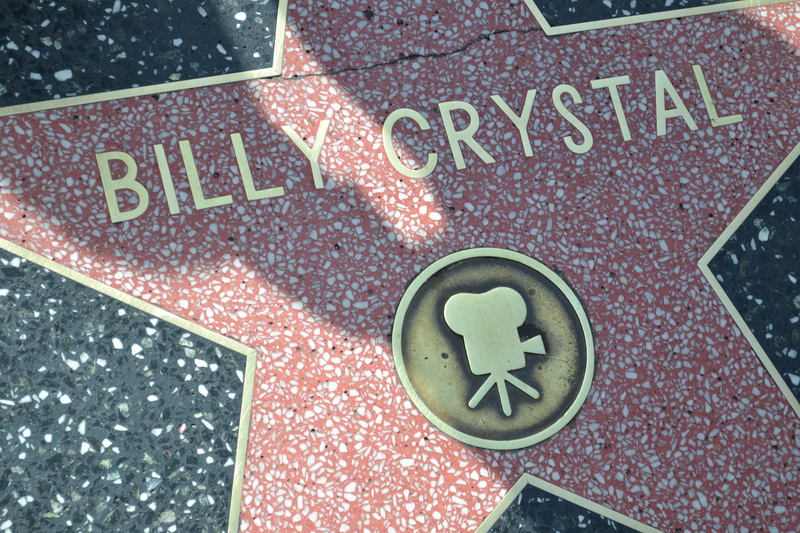 You never know, one of your guests’ favorite celebs could be being honored while they’re in town. Check for upcoming ceremonies here. Have you ever hiked to the Hollywood sign? 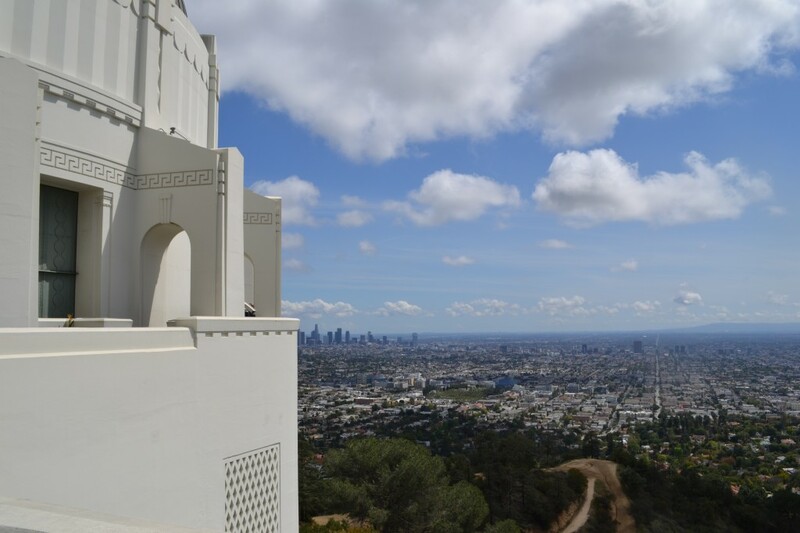 Charlie Turner’s Trail is the easiest and can be accessed from the Griffith Park Observatory parking lot. Look for the Mt. Hollywood Trailhead sign at the north end of the parking lot. The 3 mile loop allows for side views of the Hollywood sign. 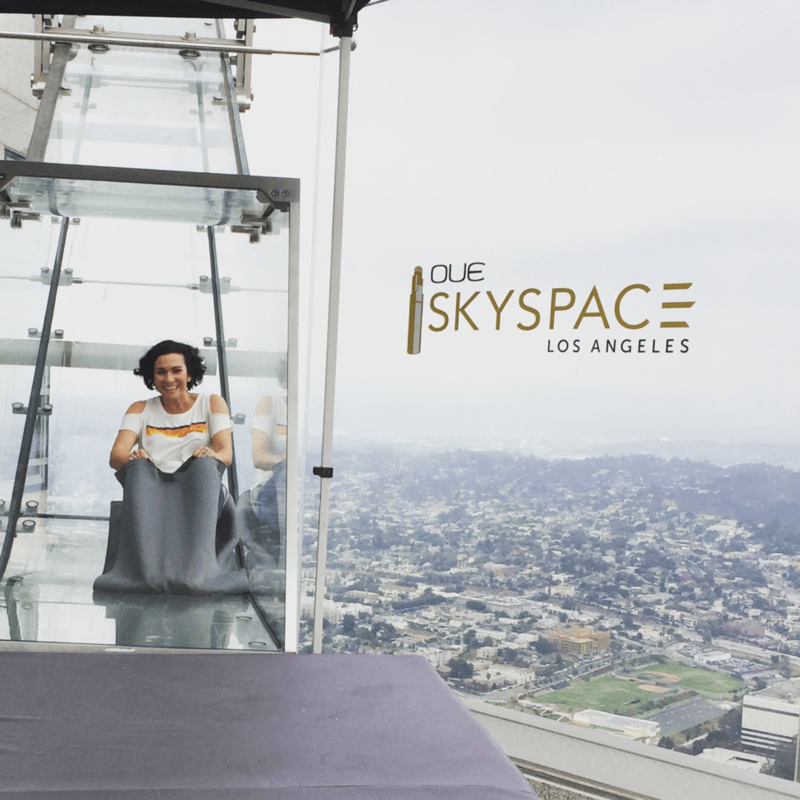 Oue Skyspace LA is an open-air observation deck 70 floors above Los Angeles that offers panoramic views of the city. 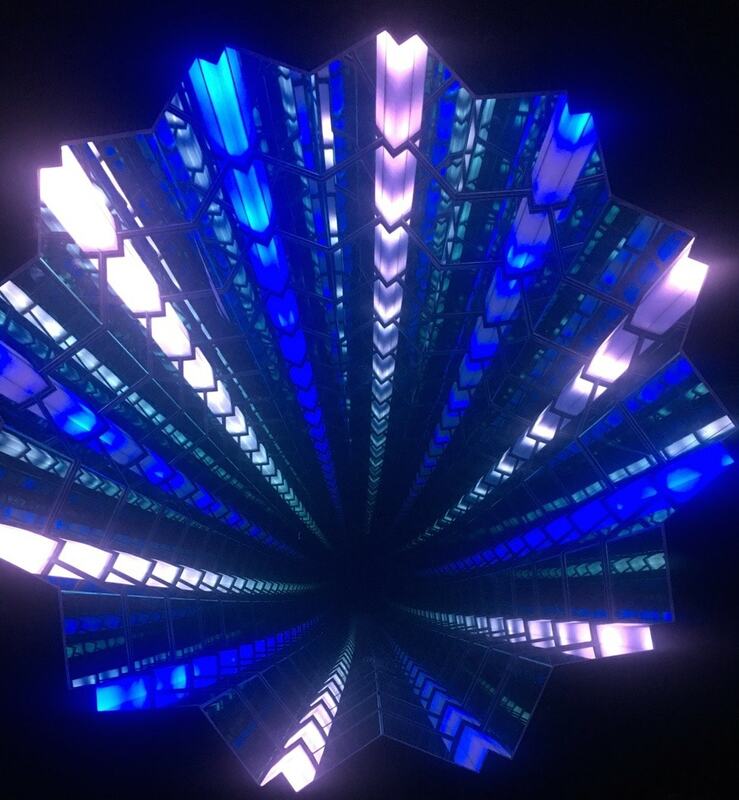 It opened to the public in the Summer of 2016 and while the outdoor views are amazing, I was super impressed with the indoor view of the elevator shaft. The best part of this attraction is without a doubt the skyslide which is a 45 foot outdoor glass slide positioned 1,000 feet above the city. Definitely take your guests here. It’s a way to experience LA that they won’t forget. 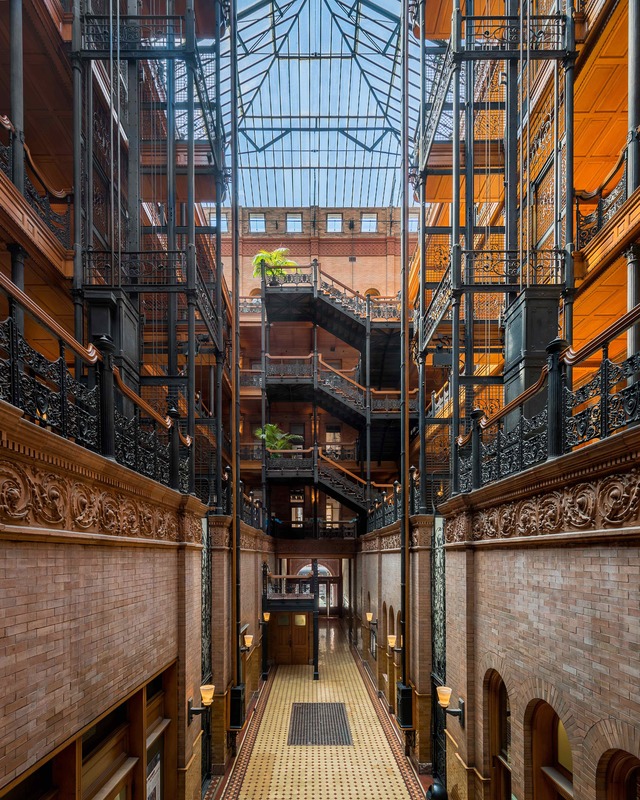 For those who enjoy historical architecture, the Bradbury Building on Broadway and Third street is a place I can’t wait to visit. Somehow I’m unable to convince my 10-year-old it would be fun. This is a place to go without kids in your group, but the design is pure wonder to me. 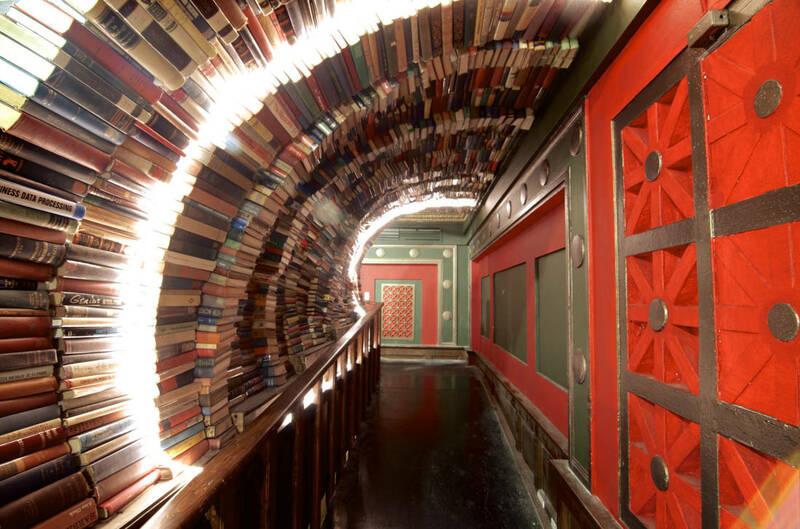 The Last Bookstore is one place I’m excited to visit next time my best friend is in town, just for the book tunnel alone. LA’s largest used and new book & record store is voted one of the 20 most beautiful bookstores in the world. You can pick up many old finds for $1. 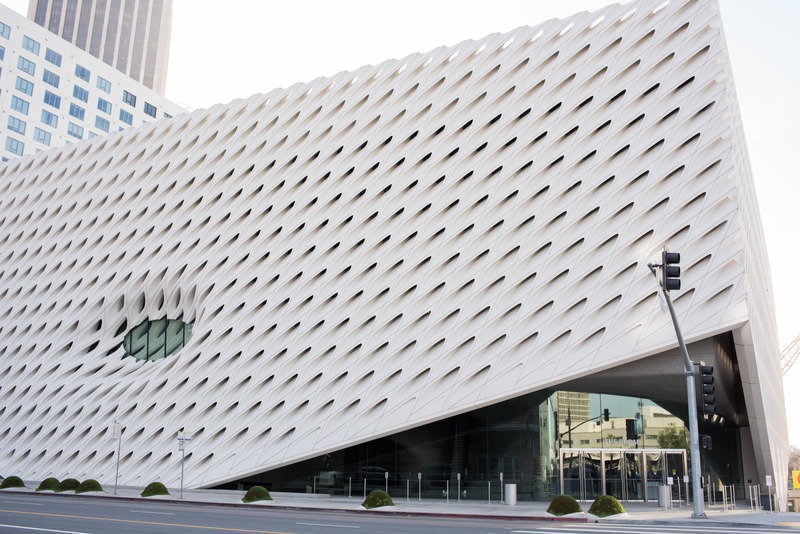 One museum in LA I have yet to visit is the Broad but it is on my list to see the Infinity Mirrors of Yayoi Kusama this holiday season. The exhibit is there until New Years Day. I’ve had the pleasure of enjoying two shows at the Walt Disney Concert Hall. The architecture is amazing. You can check the schedule to see if any shows coincide with dates your guests are in town. 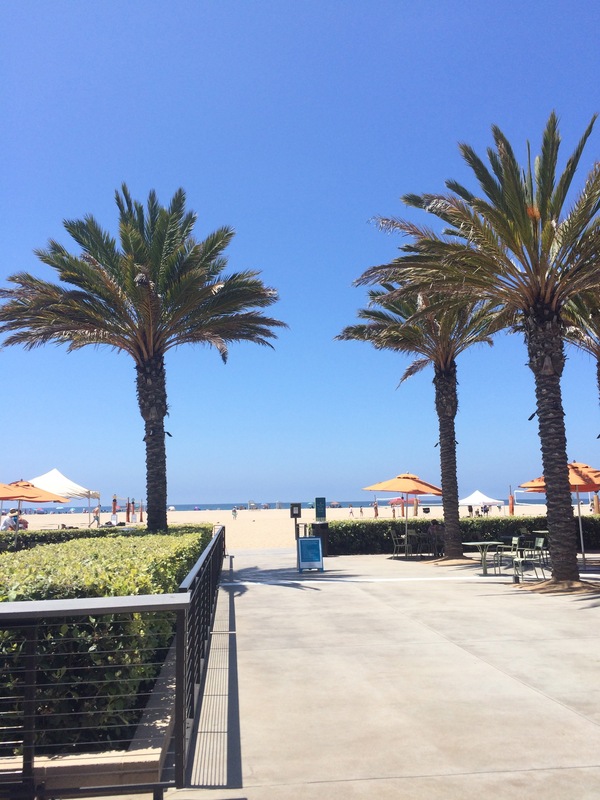 Santa Monica offers so many fun things to do and with the warm LA weather, your guests will enjoy getting to go to the beach during the holidays. 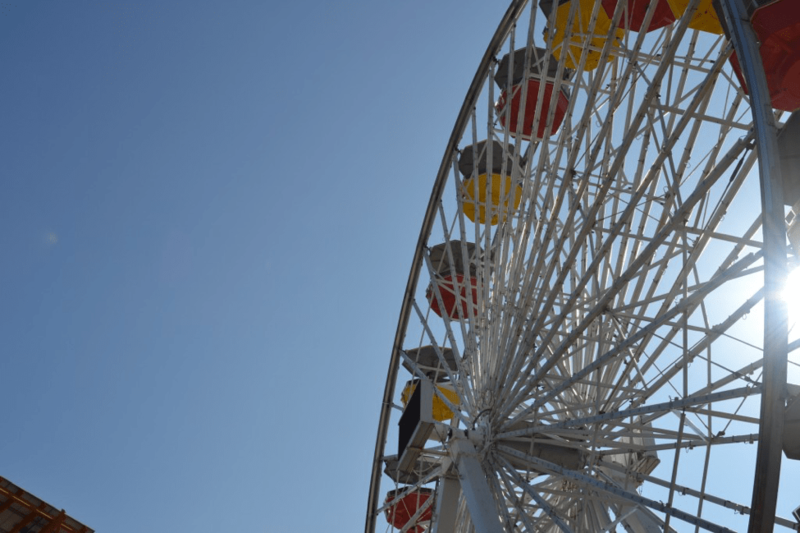 You can head to the Santa Monica Pier for a ride on the iconic only solar-powered Ferris wheel in the world. Ride prices range from $5-10 for individual rides. 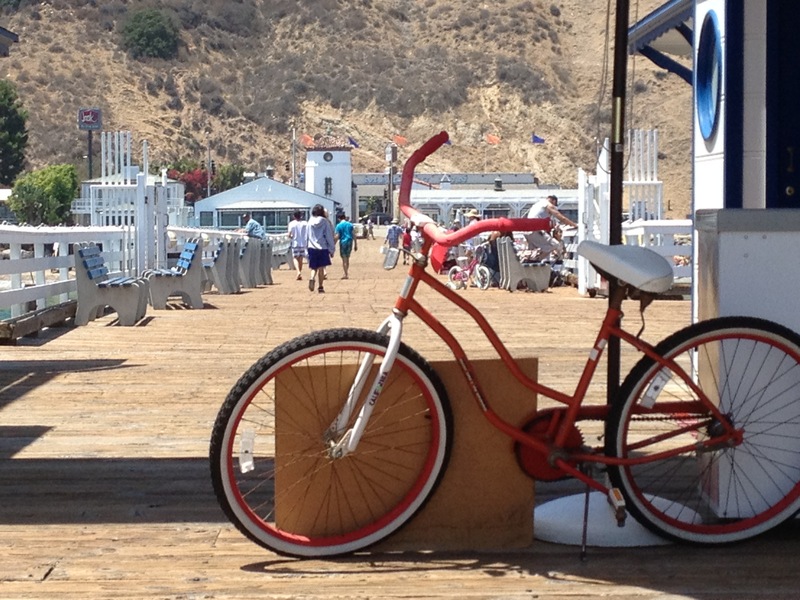 Rent bikes at Perry’s Cafe and bike along the beach from Santa Monica to Venice. 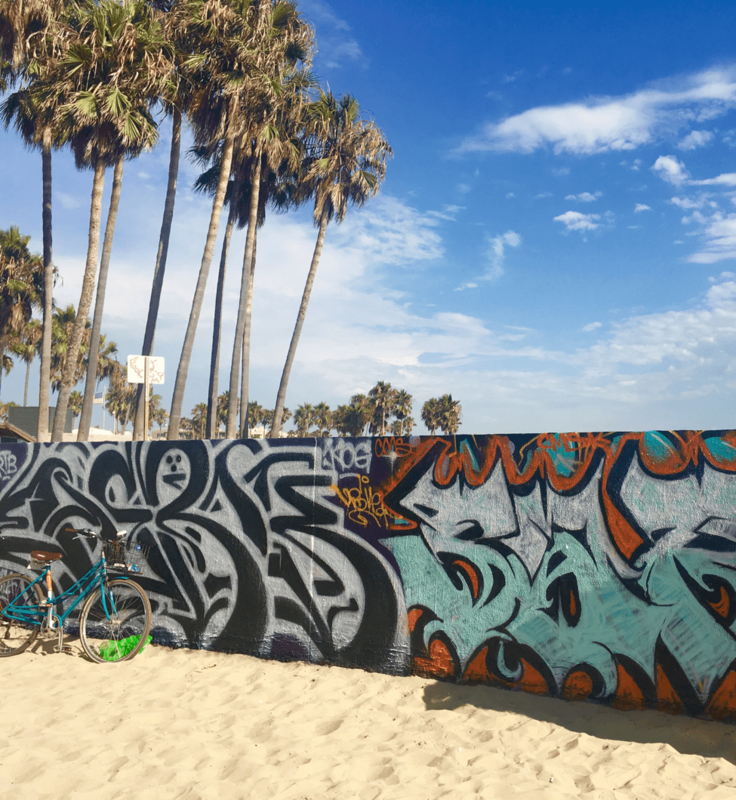 While in Venice, stop for some fun photos at the graffiti wall. This activity is especially appreciated if you have teenagers staying with you. Go Surf LA offers lessons in Santa Monica if you want to try surfing, which in my opinion, no one should leave LA without trying at least once! Lessons are $80 and include all gear and last for 90 minutes. Be sure to pack a towel, sunscreen and a change of clothes. Park in the lot off of Bicknell and there are restrooms conveniently located where you can change and then leave your wet clothes in your car when you’re done. After work, my co-workers and I would unwind with a weekly game of beach volleyball at Annenberg Beach House, located off of PCH in Santa Monica. The sand is pristine and the area is very well kept. If your guests are athletic, it’s a nice place to play a round of beach Volleyball. There are six beach volleyball courts on the sand and on most days at least three are available. First come, first served. Bring your own ball. Free admission and no reservations required. The beach house offers free wifi, a playground and splash pad, tables and chairs with umbrellas and a pool. Note the pool is closed from October-May. Shopping for souvenirs is one of the best parts of travel. 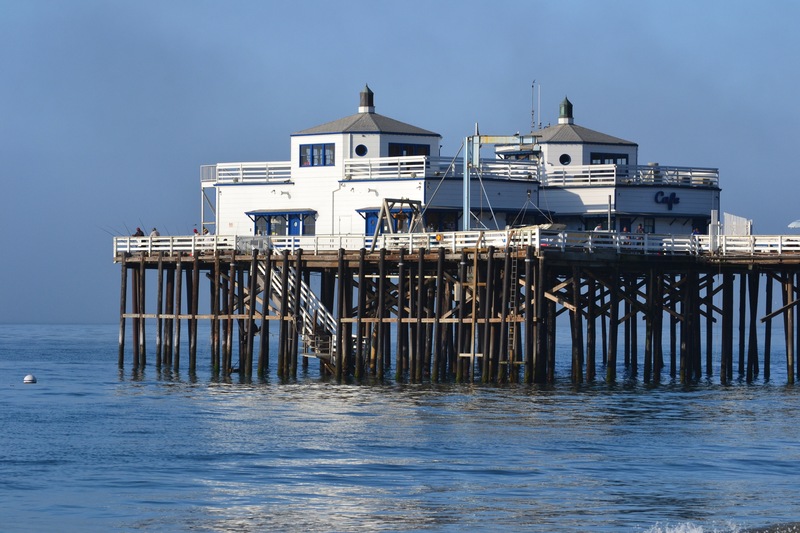 Treat your guests to a high-class souvenir shopping experience at the end of the Malibu pier. I can’t believe I used to live in Malibu and never knew that there were waterfalls within hiking distance! 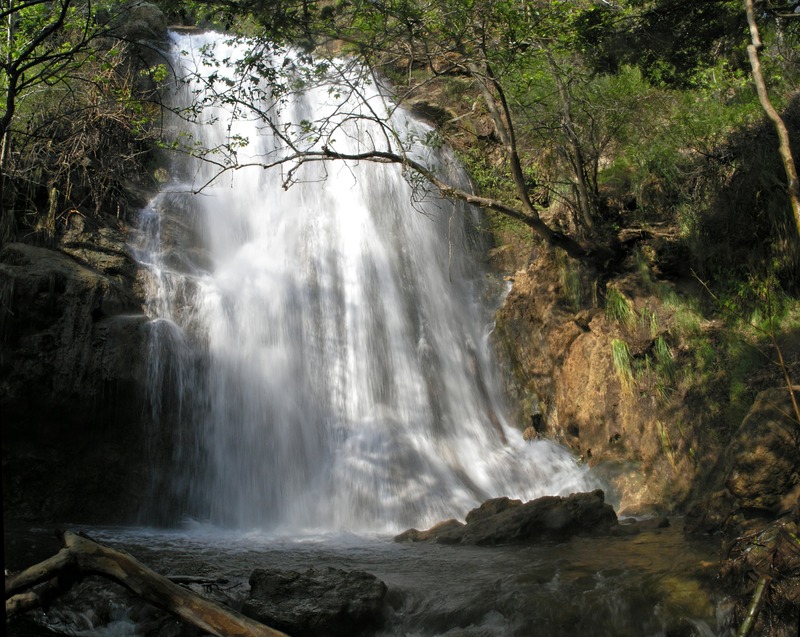 I recently discovered that Escondido Falls, accessible through Escondido Canyon Trail, is just a short walk off of Pacific Coast HWY in Malibu. The hike to the falls is 4 miles roundtrip which is totally doable for a non-hiker like me. If your guests are the outdoor type, this would be a cool place to adventure. Malibu Surf Shack offers both surf board and kayak rentals. 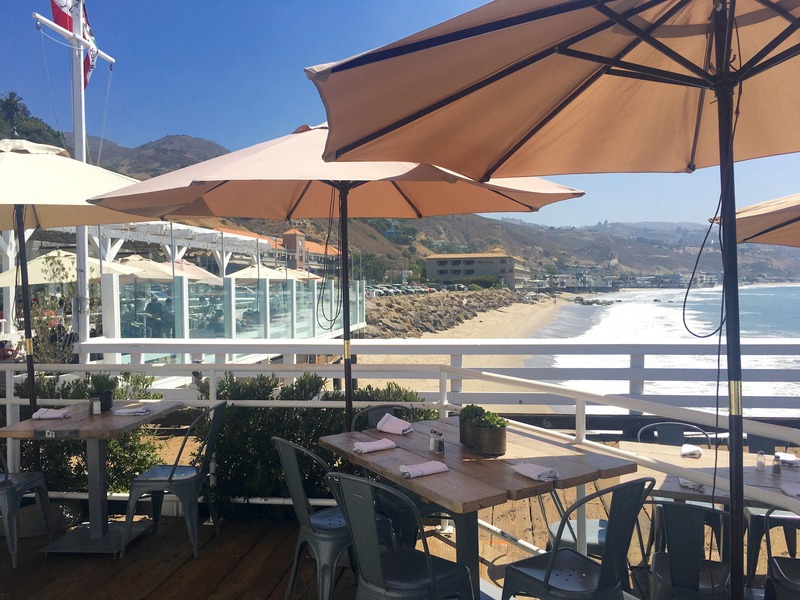 It’s conveniently located across the street from the Malibu Pier. Typically we have gone kayaking in the early morning when the water is still glassy so as not to be tossed around by too many waves. Check Surf Report for conditions before you head out. 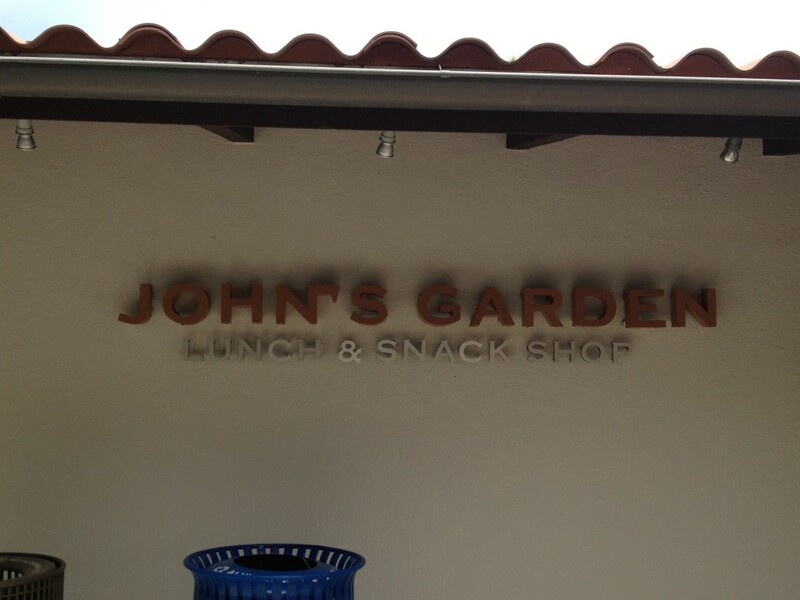 John’s Garden is a casual spot for lunch in the Malibu Country Mart. It offers organic fare at reasonable prices. I always get the egg salad sandwich because it’s the best. You can order your sandwiches to go and take them across the street to Surfrider beach for a picnic or dine on the picnic tables available outside. Malibu Farm has the absolute best Kale Salad in town. Prices range between $13-27 per entree depending on your preference but the view from the pier is worth it. Neda Soderqvist, or Coach Neda as she’s known by her faithful students, has created a dance class called JAM, designed to transform your body. Each move is specifically tailored to tone or strengthen your muscles as you dance. 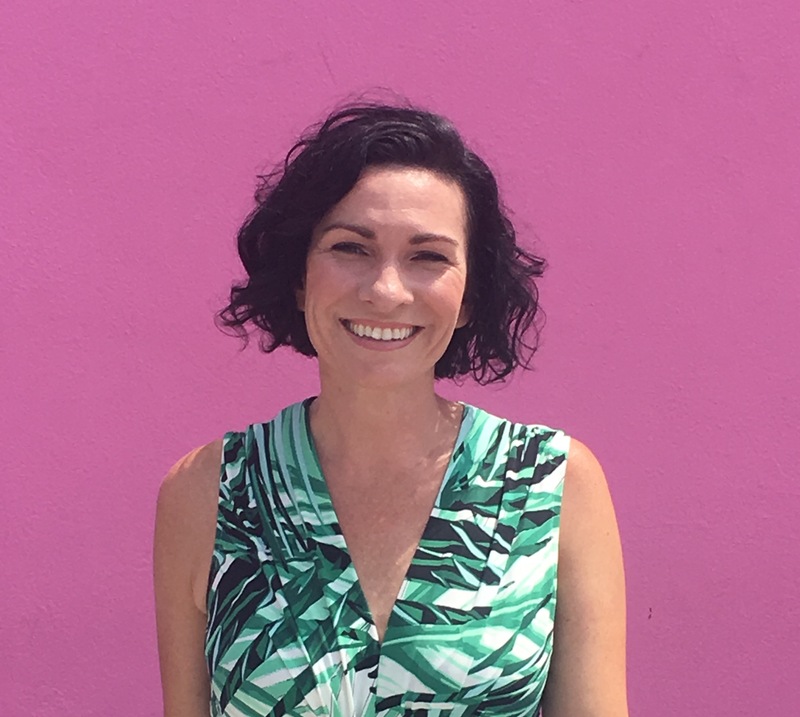 Her classes are so effective she is now the celebrity go-to for stars like Gerard Butler, Pink, Minnie Driver, Sofia Vergara and many more. I have taken Neda’s classes since 2008 and I always leave invigorated, happy and very sweaty. Your friends will love you for it later. 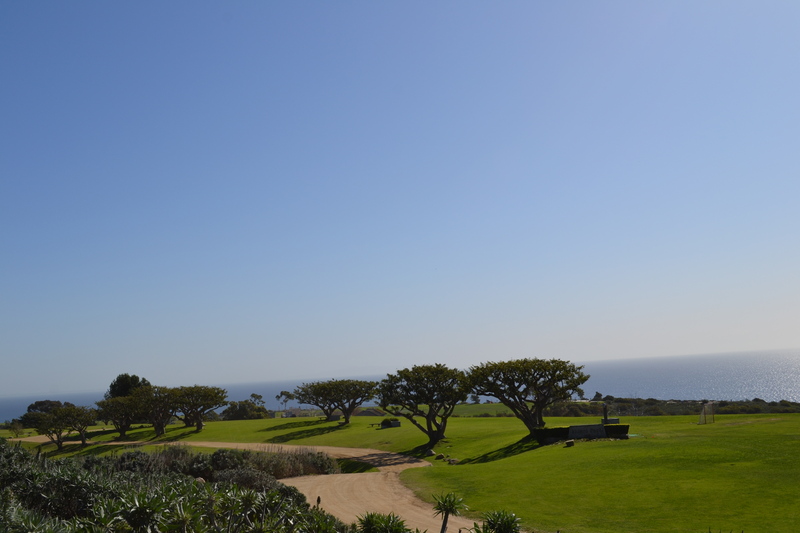 Pepperdine University, my Alma Mater, has some of the most breathtaking views of the Pacific. If you’re in Malibu for the day, you might want to drive up and take some photos. Ask for a visitor pass at the guard gate. Parking can be a challenge while school is in session but there’s usually spots available at Firestone Field House. I am not a huge fan of theme parks because I am claustrophobic so I spend most of the time facing my fears on rides and hoping for them to be over. 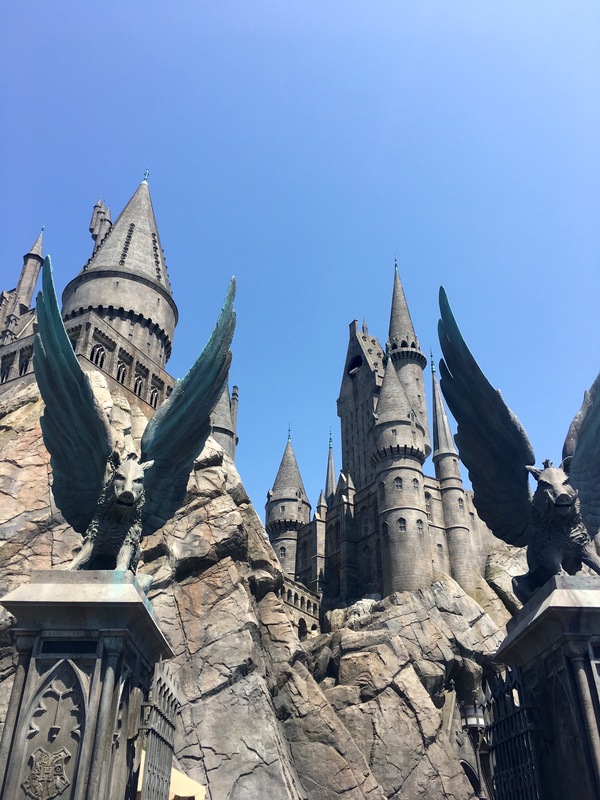 That said, I did go on the new Harry Potter ride at Universal Studios Hollywood the last time we were there. It was a long wait, about 90 minutes, but the line itself has lots of interesting Harry Potter memorabilia to look at while you wait, which makes it bearable. The ride lasts longer than typical rides so you feel a little better about the waiting. During the holidays Universal is hosting an experience which lights up the castle at night making it a good time to visit. 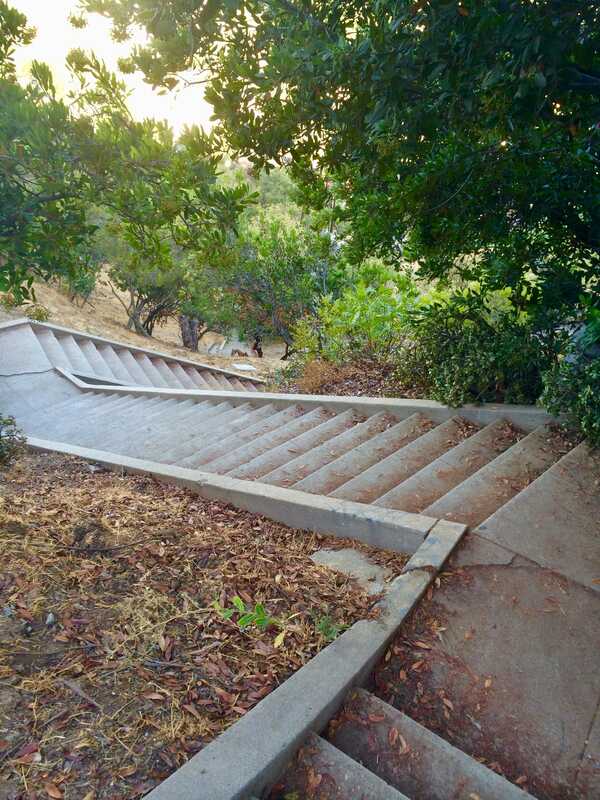 Before there were freeways or streets in LA there were stairs. People used them to navigate the steep hills of the city. These secret stairs still exist today and there are various hiking loops to enjoy them. Jeff and I hiked the Baxter Stairs and got to pop into Fix Coffee as a treat along the way. 2101 Baxter St. to 2100 Park Dr.
LA can’t really offer much along the lines of constellation viewing for our guests but we can take them to the planetarium at Griffith Park Observatory in Los Feliz. It offers amazing views of the city as well as an educational experience. 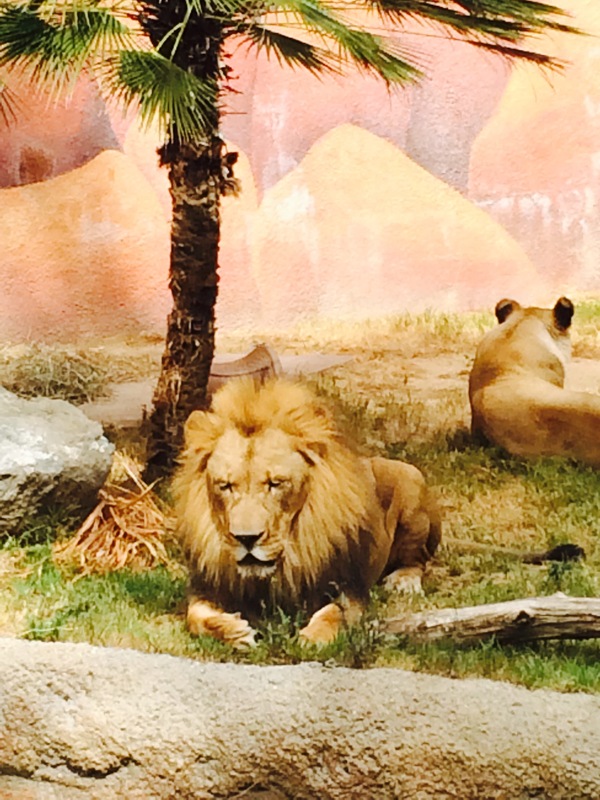 If you are entertaining guests with kids, don’t forget about the LA Zoo. The Lions are always fascinating to watch. The zoo has a light show at night during the holidays where you can get some hot cocoa and enjoy the park. Note, most of the animal exhibits are closed for the night light show but you can see the snakes! Catalina is often overlooked but it is one of the gems of California and it’s only a short ferry ride from the LA coast. We took out of town guests there this Summer and it was something they were really happy about. 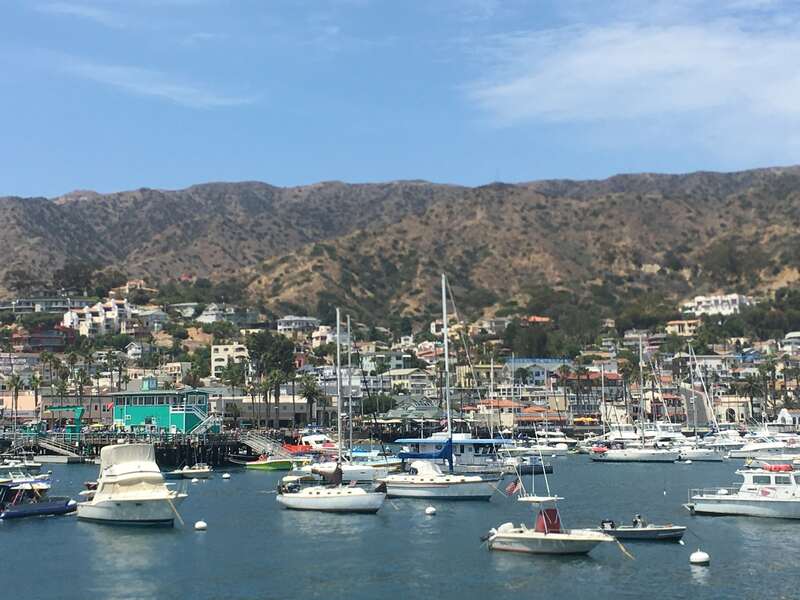 Click to download my FREE Catalina Island Day Trip Itinerary. I realize I am in danger of stating the obvious but I couldn’t offer you a guide for entertaining guests in LA without including the Happiest Place on Earth! 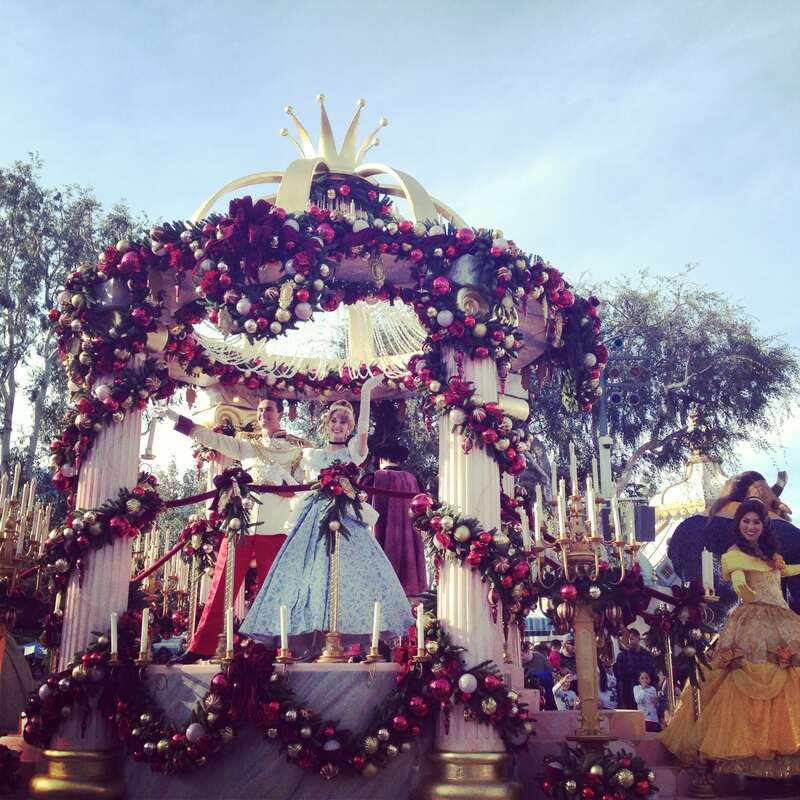 If you can bear the crowds, it truly is a magical place for first-timers. Be sure to stay for Fantasmic, the water show, it’s worth it. 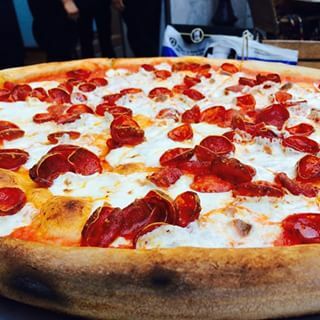 And definitely stop by Naples Ristorante at Downtown Disney for the best pizza on the West Coast. This is the only reason I brave the lines at Disneyland. Below is the complete list of fun ways to make an unforgettable stay in LA along with links for your convenience. You might want to also pin this post for easy access later. If those ideas weren’t enough, you can check out my related post on The Best Things To Do In Palm Springs too. Have a great time playing tour guide! Well aren’t U just awesome!!!! What a fun trip that was! Can’t wait for someone to visit. Oh, I know ‘check out the sites first’ Then I won’t have to wait. And can throw N my opinion as well. Thanks Lisa! Thanks for reading Mary! So glad it was helpful.